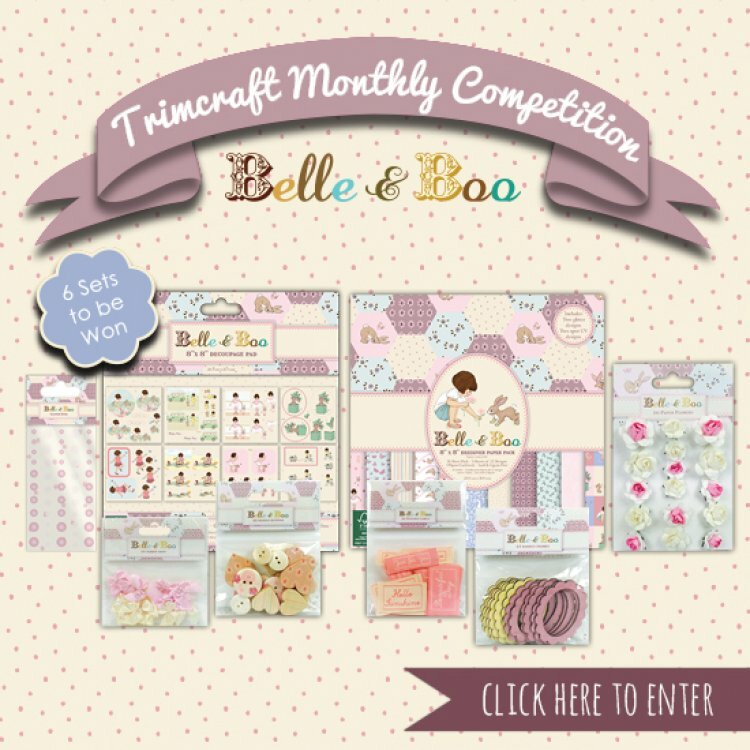 Trimcraft have released a stunning new Belle and Boo collection full of spring time designs that will look lovely on any craft project. From stunning papers to delicate toppers, crafters will be itching to adorn their crafty makes with these illustrative designs, it’s sure to add a breath of fresh air to each and every project! Join Belle and Boo's newest journey with a variety of scenes including ballet class and day trips to the beach. We have already crafted a few pretty projects, what do you think? We have six sets to giveaway, what do you have to lose? Check back at the end of the month to find out who has won, it could be your lucky month. Good luck everyone!